MK Online Ranks the 10 best Mortal Kombat guests for Injustice 2! You have 2 new, 37 total messages in your inbox. <div class="forumQuote"><b>BADASS6669 Wrote:</b><br/>You have 2 new, 37 total messages in your inbox. <br/><br/>There are 1 users online, 0 of them on your buddy list <br/><br/> <br/><br/> <br/><br/>This site was the place to be :(</div> <br/> <br/>BE THE CHANGE YOU WANT TO SEE <br/> <br/>I hope whoever gets a slot in Injustice 2 is a better fit than Scorpion. RaIden or Kotal Kahn would be a better fit, I think. I hope whoever gets a slot in Injustice 2 is a better fit than Scorpion. RaIden or Kotal Kahn would be a better fit, I think. No Cassie? 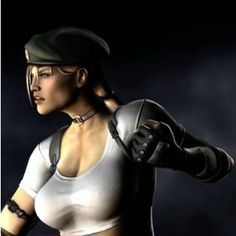 <br/> <br/>I mean she was the main character of MKX. Her special could involve the other Kombat Kids. I mean she was the main character of MKX. Her special could involve the other Kombat Kids. Anyone that is not Scorpion or Sub-Zero would be nice. <br/> <br/>Unless we're talking about Marvel's Scorpion. Or Sub-Zero from the Arnold Schwarzenegger movie "The Running Man". Anyone that is not Scorpion or Sub-Zero would be nice. Unless we're talking about Marvel's Scorpion. Or Sub-Zero from the Arnold Schwarzenegger movie "The Running Man".